A rapidly expanding part of our business is exporting goods outside of the UK. All of the products that we sell are free for sale within the EEA (European Economic Area). On receipt of your order we will quickly confirm with you your preferred method of transporting the goods from our warehouse to the end destination. For EU Customers we have partnerships in place with a number of well established freight operators including DPD and DHL. 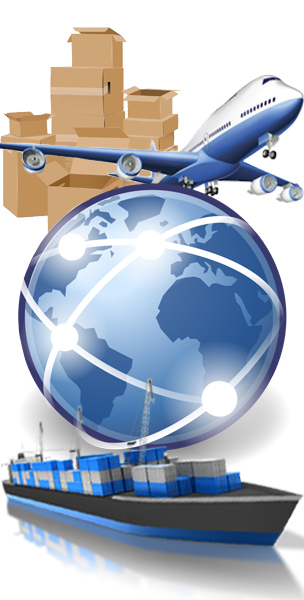 We will be happy to provide a freight quotation based on the size of your order. We do not benefit financially from these freight quotations, they are a service we offer to our valued customers. It is highly recommended that the chosen freight forwarder is BIFA / IATA approved. On confirmation of shipping arrangements, we prepare the goods along with all necessary paperwork, including a dangerous goods note for transit if necessary (free of charge). Payment must be cleared funds in our bank account before we can release the order. On arrival of your consignment at the end destination we would request from the freight company the 'shipping certificate' for validation of export. For EU destinations, if a valid EU VAT number is supplied VAT will not be invoiced. All destinations outside the EU are exempt from VAT charges. Please be aware that all goods are sold Ex Works (EXW). Cost of freight and Insurance is the responsibility of the buyer. It is a legal requirement to have a dangerous goods note for transit of perfume as these goods are classed as hazardous. At H&B Supplies we provide this free of charge. A "dangerous good" is any solid, liquid, or gas that can harm people, other living organisms, property, or the environment. These dangerous or hazardous goods are classified by the UN. UN recommendations classify and identify goods which are deemed hazardous by any means of transport and regulates the packing, labelling and shipping of these goods accordingly. H&B Supplies Ltd ships all Hazardous freight via road and sea only and as such are subject to the regulations set out in the International Carriage of Dangerous Goods by Road (ADR agreement) and the International Maritime Dangerous Goods code (IMDG Code). Fragrance is classified as a hazardous substance under Hazard Class 3 (Flammable Liquid) and UN number UN1266 and is subject to the regulations set out in the ADR and IMDG codes.